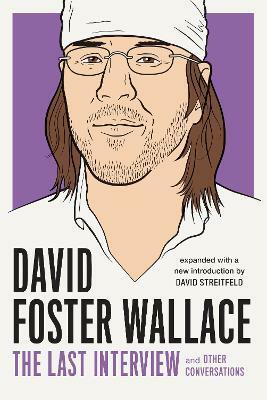 An expanded edition featuring new interviews and an introduction by the editor, a New York Times journalist and friend of the author A unique selection of the best interviews given by David Foster Wallace, including the last he gave before his suicide in 2008. Complete with an introduction by Foster Wallace's friend and NY Times journalist, David Streitfeld. And including a new, never-before-published interview between Streitfeld and Wallace. David Foster Wallace (1962-2008) was an award-winning novelist, short-story writer, and essayist. He is best known for his 1996 novel Infinite Jest. Frequently referred to as the voice of his generation, he won a multitude of prizes and accolades before committing suicide in 2008.Editor David Streitfeld is a Pulitzer Prize-winning journalist who has written extensively on books, business, and technology for the Washington Post, the Los Angeles Times and the New York Times. He is currently a columnist for the New York Times.